I am going to be backpacking my way along the eastern coast of Australia and am having trouble finding a cheap backpacker hostel in the Wollongong region. Can anyone please recommend a good place to stay that is in a central location, has a friendly atmosphere and also good hostel features like cooking facilities, guest laundry and cool entertainment. 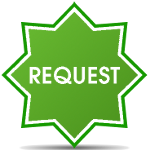 If you know of some appropriate accommodation for this request or are an accommodation provider yourself then you can enter in the details below and have the information automatically sent to the traveller requiring the accommodation.